While I’m always up to be surprised by a new fairytale film adaptation, I wasn’t so excited re the concept of Snow White. And in 2012, there are two to be released. Now while one of my favourite Directors, Tarsem Singh (2011’s Immortals), released the first earlier this year with the Julia Roberts led Mirror, Mirror, I must admit I was left even less convinced upon opening. Singh’s Snow White flick was more pastel Willy Wonka than something we have come to expect from this visionary Director. So when the trailers started doing the rounds for the next adaptation, I took notice. Oddly enough, it looks more Singh than Singh’s actual effort. Not that I take anything away from the Director of Snow White and the Huntsman, Rupert Sanders. Now while you may go who (??? ), there is a very interesting reason for not knowing who this guy is. Because this is actually his first feature. Seriously. And while that seems completely unbelievable considering the look of the film, it is also because a studio trusted this newbie with a freakin’ major budget, and a cast including Kristen Stewart (Madam Twilight), Chris Hemsworth (the H brother that did Thor not Miley Cyrus), and the delectable Charlize Theron – who with a well-thought-casting-nod from me, plays the Evil Queen. Sanders is a big deal in the advertising world though (I should say was), directing colossal adverts for the likes of Nike, Guinness and Xbox. It seems his sights were always set on film, and after his years based in the UK gave way to very little in this arena, he moved to LA with a wife and two little ones. Hence no more ads. On arrival in La-la-land, Sanders managed to secure a meeting with Producer Joe Roth (2010’s Alice in Wonderland and Tom Cruise vehicle Knight and Day – and many others). Not bad considering Roth is considered in the Top 10 of Hollywood’s most powerful. Seems Roth saw something in the Director’s ideas, and previous accomplishments re advertising. The rest they say is history. And it looks like Sanders has delivered with profitable opening weekends in the UK and US. With talk already re Sanders considering directing the sequel and with several new ideas in the pipeline, this is someone to watch. The film itself is interesting as it’s a twist on the legendary fairytale. 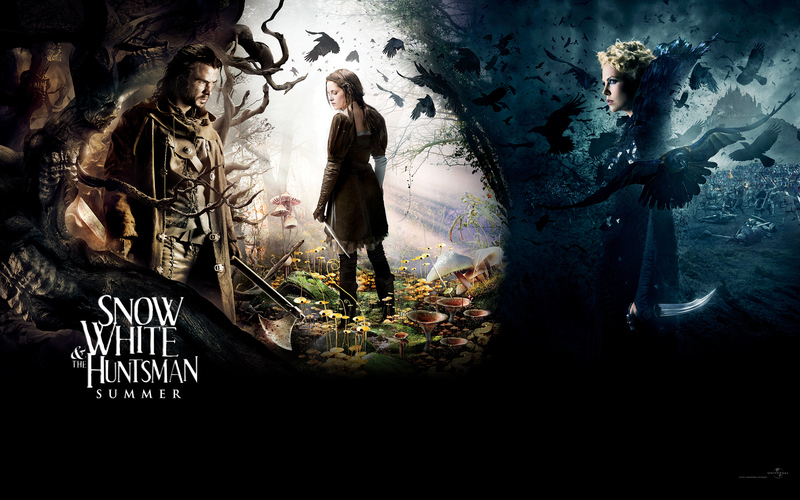 The Huntsman, who was ordered by the Queen to capture the fairest of the them all, decides not only to save her, but to train her to become a warrior capable of threatening the Queen’s reign; effectively bringing about war. Obviously more Bro Grimm than Disney, check out the trailer if you haven’t seen it already. Me like. This entry was posted on Tuesday, June 12th, 2012 at 5:30 am	and posted in Uncategorized. You can follow any responses to this entry through the RSS 2.0 feed.